Last week, in A Baker’s Dozen, I listed my books’ series, or repeating patterns. I plan to take a brief look at one pattern each week. Today is one of my non-emotion patterns: SCRAP, which happens to be the title of my book. The motif of scrap(s), trash, theft, salvaging, and re-use runs through many scenes. Scrap represents destruction and chaos until scraps can be salvaged and re-used. On the more positive side of trash and scrap, when I was a kid, my father sold teepee burners to dumps and then started his own garbage business. I wrote about the teepee burners here. When he had his own business, he used to find all kinds of usable trash. He brought me boxes of books and costume trunk clothes that had been thrown into dumpsters. When my grandmother entered the nursing home, she left behind with my parents a Victorian crazy quilt, made of irregular scraps. I think of it as a guiding image for my book. I wrote about it on Anneli’s blog here. Like most crazy quilts, the scraps are velvet and satin and embroidered with designs. Many of the designs are floral. The metal flowers are my favorites. I use scraps to make scrapbooks, and I used to make stained glass out of glass shards, but I had to quit when I moved years ago. You have to have a designated work area because the tiny glass fragments get all over and can be dangerous. Now that I have the room to work on my stained glass I no longer have the skill to break the glass. Does the image of scrap as I’ve described it above show up in your writing or your daily life? Scraps of life. What an interesting way of looking at our lives. Bits and pieces put together, shape us. I like that concept. I love that wording: “Bits and pieces put together, shape us.” Thanks for adding to the subject, Anneli!!! I love this post Luanne – it’s wonderful that from an early age you learned the value of so-called rubbish and how it could be recycled. One of the themes that I think features in my work and that I’m most attracted to is transformation – which, I guess, is also what salvaging scraps is all about. Love the notion of transformation in salvaging scraps!!! Andrea, thanks so much for that image! In fact, I have been trying to work on a difficult (for me) short piece that involved transformation. This will help me! Wonderful, Luanne! 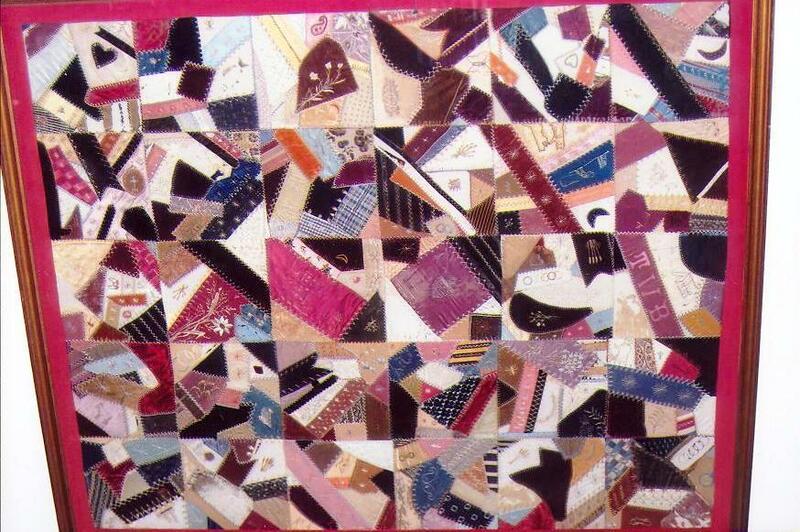 Lots of scrap stories in my life too (aside from my whole life being a crazy quilt). 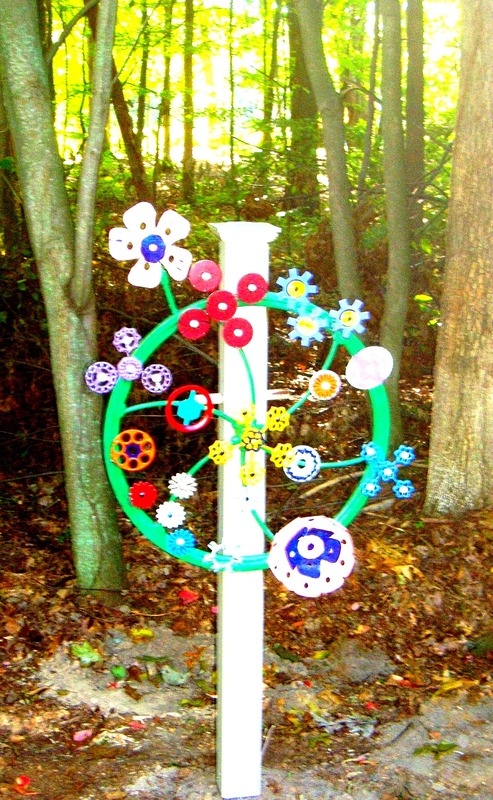 I have garden art from my late husband, that he made from scrap in our RV salvage and sales biz. I brought unfinished pieces when I moved and am slowly finding ways to blend them into the garden. Patti, I love that you’re blending the pieces into the garden! It’s so special to see the mingling of human creativity and of (semi-harnessed) nature. Here’s something else about the scrap stories. I started writing my memoir this way with scraps and then was strongly encouraged to create more sustained narratives, but when I began working on structure with the book architecture method, I found that it’s necessary to go back to those scraps–those are the beating hearts of the book! Love reading about your progress and process! I love how you approach things. I am a collage person. I do fragments of art in all my mediums. So what you and your dad have done resonates with me. Nice! Yes to collages! I love them. And mosaics, I love those, too! Thanks, Hollis! As you can see, on the stained glass it’s not done. The top of the columns, for instance, are not completed. Very metaphorical. My life is a blanket of scraps.Some fabrics new and some well-worn. I had an Aunt once that made a blanket of men’s silk ties. It was gorgeous. A blanket of scraps–nice. I can imagine that your aunt’s blanket would be amazing since the fabrics and designs of various men’s ties when put together into one piece would be intriguing. You don’t have a pic, do you? Wonderful post Luannne 🙂 Reading this I thought of the saying “one man’s junk is another’s man’s treasure” and “waste not want not”. I love your MIzrah! and your father’s work. I have seen some truly amazing scrap metal creations in parts of Africa made by the poorest people for example and it was a reminder to me that we are all capable of taking some “thing” or experience and transforming it into something “other” that will serve us better. Those sayings are so true! My father also took some of my grandmother’s jewelry and lace from her clothing when she died and made a collage and framed it. He also used her old costume jewelry (and my mother’s) to make Christmas trees. Never let anything go to waste! Your wisdom there at the end of your comment is an inspiration to me, Yolanda. Thank you for that!! and for your kind comments. I’ve always loved this title, Luanne. And yes, I think we all have personal scraps that lend to our personal collective. Sometimes when we are in these “scrap” moments we can’t necessarily see the bigger picture, but eventually I think we all hope that the kaleidoscope forms a pattern that we can recognize. Rudri, that reminds me how sometimes I see something closely, the fine elements, and my husband sees “the forest,” the larger picture. Love that image of a kaleidoscope!!! Wow, Luanne! 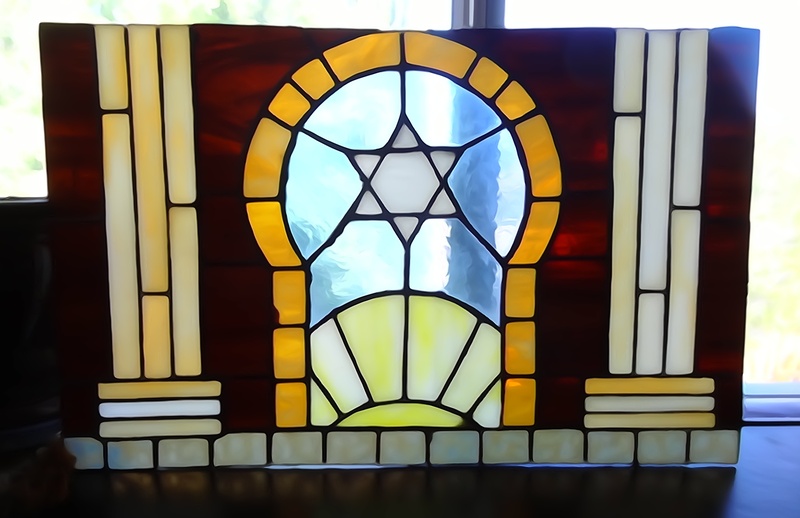 Your stained glass project is beautiful. It looks finished to me, but what do I know, I’m not artistic. If it’s not finished, you should definitely bring it on home to completion…so lovely! Jill, thank you for your kind comment! If you look at the columns on the stained glass, you will see that the top of the columns is missing, as well as a row of glass along the top. It’s been years. I wish it was done so I could frame it and hang it in a window. But I won’t be able to finish it. I wouldn’t be able to go back to stained glass. It takes a very sure touch with the glass–the breaking of it along the right lines–and all the tools, etc. I don’t have any stuff left and my hands have a little too much arthritis and my lymphedema (another medical condition) makes it a little dangerous to work with glass. Also, unfortunately, the glass breaking is not like riding a bike. I tried once about ten years ago and had lost the ability. Yes, yes, yes, re your ideas and quotes, etc. Tell me how you find what you need! I do that and then everything is everywhere and every now and then I just have to purge notes that no longer make sense or are past their usage. How do you organize? Well, by all means, keep your beautiful stained glass project as is…it really is beautiful even if it’s not complete. I love it, Luanne! I have an idea journal where I log in my ideas. It’s separated into sections, quotes, ideas, character names, etc. The ideas that are scribbled on notes and scraps of paper are logged into the journal before I trash them. Any notes that don’t make sense are trashed. It always feels good to toss the scraps. Love the photos, and the metaphor. Ah, thanks so much! I hope all is well. I had a friend who lived in apartments in a ritzy part of the city at one time, and the things people threw out were amazing. She had this huge old Ford LTD and at night we’d drive around loading it up with other people’s “garbage.” We found coffee tables, artwork, candelabras, chairs…it was unbelievable. There was also a fancy fabric store near her and they would toss huge bolts of expensive fabric into the dumpster on Sunday nights. Yep, we took all that stuff home with us, too. Now that sounds like FUN to me! Did you refurbish stuff? Make things out of it? Or use as is? My son is now getting into “rescuing” things. That’s how he got a cat. First they rescued a perfectly good cat kennel from a dumpster, then they went and rescued a cat from the shelter to have someone to use the kennel ;). I’ve always found scrap metal art so interesting. That picture of your Dad’s creation is lovely! Caitlin, I will tell him you said that! It will thrill him!! Yes, it makes you feel good to make use of them, doesn’t it?! And why not! There’s something icky about the waste that goes on today. Like planned obsolescence. I love that scrap motif — it has so many facets for exploration and linking. It does. As soon as I think I’ve exhausted it, it yields more and more! What wonderful imagery to work with, both in your writing and in the physical world. My novel in progress is teaching me how powerful imagery can be. One character has a story she can’t put into words, and (word person that I am) I’ve been at a loss to even understand what the story is, never mind tell it. Then a dog crate was introduced, and I started paying close attention to all the enclosed spaces — cars, bedrooms, a hearing room at town hall, etc. — that had already appeared in my draft, and this character’s relationship to those spaces. Another character just happened upon a decaying shed in the woods. OMG, thought I: another box! Oh, Susanna, I love the enclosed spaces and boxes! I can’t believe you wrote this and are writing about them! I have a piece that I worked on for a very long time and finally I realized that there were all these boxes in (crib, bedroom, shoebox, casket, etc.). Hence, it’s called “Boxes,” at least until I change it (maybe or it might be part of my book). What a great feeling when you have that epiphany about a motif that underlies a story you’re writing!! I can’t wait to read your novel when it’s published–and find all the boxes! Scrap- a perfect image to work with from your grandmother’s gorgeous quilt,your father’s scrapped art work ( beautiful, whimsical and I agree, the flowers are my favourite as well), to your life experiences. Your stained glass is beautiful, Luanne! There was a time when I ventured into working with stained glass so I know that it can be tricky, detailed work. I love that you did stained glass too! Your writing style is like glass. You aren’t a Cancer, are you? Thanks for your sweet comments, Lynne! Are you really?! So am I! It seems like such a Cancer-ish thing to do. I’m so glad you enjoyed seeing them, Robin! Oh my, your scraps really give me something to think about. How they get shredded in the wash if you’re not careful. Can you keep a basket near your hamper to throw your scraps into and then you will have a wonderful scrap basket of words, sort of like a scrap basket of fabric!! (I have my Grandmother’s scrap basket–without the basket–from the time that she had to stop sewing because of her eyes and arthritis–full of late 60s fabric pieces). Then you wouldn’t be washing your thoughts into bits!!! Marie, I’ve actually wondered if there was a way to find someone who could finish the piece for me. The only thing that really has to be added is the top of the columns, the “caps.” If that could be added, I’d be set.I don’t even have the glass shards left that match, so I would have to search for ones that would work. Wow, that’s a good point that any kind of creative endeavor yields scraps. I think that’s a good metaphor for writers not cramming in the kitchen sink when we’re writing. If we need to remove something it makes a scrap we might be able to use later for something else! There’s lots to do with yarn scraps, right?! You’re in Phoenix, right? Or there about? Maybe there are art students who would like to help. Could be an interesting project :). I use scraps of memory in all my writing. I think it is useful to weave them together and see the larger, over-reaching concepts and themes emerge that are are universal to all of us. Emilly so interesting that you put scraps and memory together in “scraps of memory” since these are the 2 separate series I’ve written about here in this post and then today’s post about memory. That is how I originally began writing my book, writing little scraps of different memories. And yes, now, finding the “over-reaching concepts and themes” that I hope are universal :). So nicely put, Emilly! What a wonderful title for your memoir! I am working with scraps of fabric right now making a banner for a mid-week church service attended mostly by men and women living on the streets. When I finish, I will outline the seams with black yarn, and I was thinking recently that this is kind of a poor man’s stained glass. I so admire those who can work in real glass! Oh, what a wonderful thing to make and to do for people. I hope you’re going to post a photo of the banner! 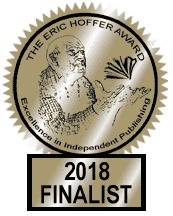 Thanks re the memoir title–so glad you like it! I am struggling with all the scraps of my life. Sometimes using them in writing, sometimes purging them from my upstairs “junk room”. Sometimes remembering scraps I wish I still had. Your writing always makes me think a little deeper and a little harder. Thanks. Ruth, what I’ve been trying (note: trying) to do is to save the scraps in pile or a scrapheap on the computer in case I can mine them later. A delightful post, with two valuable insights. We cannot remember everything, so who we are at any moment is a collection of scraps. And what we can grasp from the onrushing torrent of experience are scaps, including scaps of pleasure, and scarps of beauty. All three photos in this post are beautiful. Oh, what a lovely response! “what we can grasp from the onrushing torrent of experience are scraps”–I love this! And thank you re the photos!